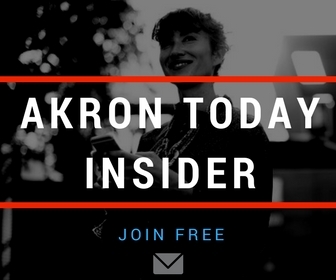 There are many advantages to living and owning a business in Akron Ohio or the surrounding Northeast Ohio area. A highly educated workforce and low cost of living makes it ideal for businesses that want to keep costs low but output high. One disadvantage would be that you are not in a bigger market like New York or Chicago, and while it is driving distance, it is hard to break into those places unless you are there regularly. However, as videoconferencing has matured and become easier and cheaper to buy or lease, it now becomes easier to do business anywhere. One person in the Akron area is selling videoconferencing for Akron businesses that do business outside the area states that he has seen a big increase in sales as well as a big savings on project costs when companies have used videoconferencing to meet with people remotely in minutes, instead of scheduling travel. For sales, everyone knows that in person is better and that there is no time better to strike than when the iron is hot. With videoconferencing, Akron businesses are able to sell any place in the world in minutes face to face, giving them a huge advantage over competition not using this tool. The down side to videoconferencing has traditionally been the cost. However, every year better technology comes out and it is less expensive than previously. What could have been over $100,000 five years ago can now be installed and running for a few hundred dollars a month leasing or a few thousand dollars outright purchase and install. Combining videoconferencing with the advantageous Akron business climate is a big advantage when you are building a profitable company. Does Your Cat Need To See The Vet?